"In the end, LAKE was the obvious choice. They were recommended to us by two of our college customers, they have a good track record in the education sector and demonstrated a clear understanding of our business. They were very professional in their approach and did not attempt to rush the selection process." The Capgemini report is based on a comparison of 36 solution providers. Available from November 2018, customers will roll this out to replace all existing Apps by February 2019. "We are delighted to be selected once again. This award is further evidence of our commitment to providing best value solutions to our customers in the college and academy sectors." "Our attendance at this exhibition has been a major factor in raising awareness of Proactis and LAKE's expertise in delivering Proactis solutions to the Infor SunSystems marketplace." Users of the latest release of Proactis Expenses can now capture expense claims "on the go" via a mobile app. This exciting new facility allows mobile users to take photos of receipts and send claim details in without having to wait for their next visit to the office. "Decision makers are now better able to see the broader picture. It has improved our ability to drill down into data to see why things are happening, where the numbers are coming from. "The dashboard approach enables trustees to see quite visually the impact of changes without having to look at tables of numbers. These are innovations which I think are important in terms of governance as well as operational management." Thank you to everyone that attended our recent customer conference in York. A summary of the conference agenda along with examples of customer feedback are available on the conference website. 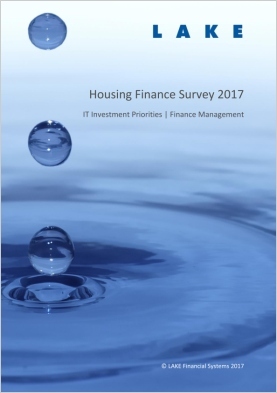 This year's report looks at the priorities for investment in finance systems for the next 12 months and beyond. The report details 8 areas for investment and compares results for users of Infor SunSystems and OpenAccounts. Proactis 2017 is available now, delivering significant enhancements to usability, reporting, technology and eCommerce. Go to Proactis Roadmap 2017 and beyond for an overview. If you would like to learn more, please register for the forthcoming LAKE Customer Conference on the 24th May. Alternatively, contact your LAKE Account Manager to discuss your upgrade options.